Brides look flawless and don't worry about re-touching all day with airbrush make up and other services from New York Exquisite Make-up Artist- Olunife of Olunife Beauty and Beauty by Design. Click here to visit her website. Use Phoenix ASAP for all your city planning. SophistiKatered offers a variety of services for your wedding. We use several professional photographers. Contact an event planner for more details. Our event planners can help you choose the right Florists, Videographer, Entertainment, Disc Jockey, Decorator, and other vendors to meet your needs. Just tell us what you want and we'll do the rest. We can provide decorated wedding cameras for each table, picture dvd to view at your wedding or as gifts for guests, wedding invitations, and much more! Need party rentals, event decor, coordination, planning, set up, take down or delivery services?? Use our party rental company: You Can't Beat This! 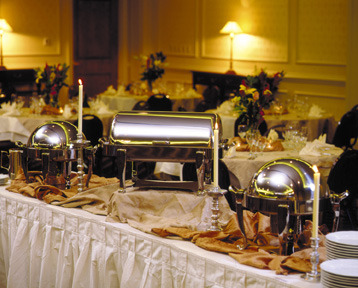 Party Rentals & Event Decor for a 15% discount when you combine with catering.